From a single user to corporate marketing departments, Ennect works for all. Ennect Mail is an online marketing software that empowers you to quickly create, launch and track email campaigns. Overall: As a customer of more than 10 years, I find the Ennect Mail system user friendly, dependable and an extremely good investment. for our company. 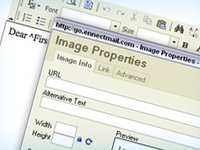 Thanks for choosing Ennect Mail for your email marketing needs! 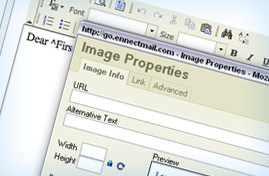 Overall: We use Ennect Mail for Pittsburgh.net's monthly event email. The software allows for copying over templates and easy list management. All you need is the fresh content and email addresses and let the communication happen. The support team is like having our own digital marketing team available to us. Recommendations to other buyers: If you want a simple email marketing program that has a good engine under the hood than this is it. Easy to use, but it needs updates! Comments: I've used Ennect Mail for over eight years. It's easy to learn and use, and customer support is great. But the features and functions have not been updated over the years. For example: the coding is often problematic and unstable when creating new templates and making emails responsive. Analytics could be much more robust, such as allowing you to pull results from different timeframes, providing the timestamp when each email is opened, reporting unique opens vs total opens, etc. Our team would we happy to share our full experience and suggestions. Thanks! Comments: The CMS is a bit old school, but it works for newsletter emails to communicate with your audience. 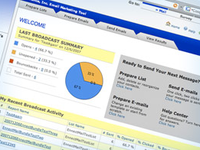 It's a good basic email marketing tool. Thanks again for using Ennect for your online marketing and communication needs, We appreciate the review!